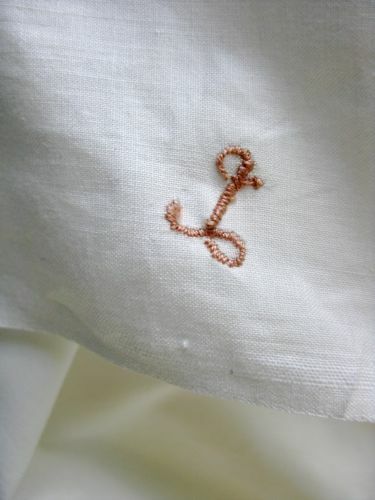 A while back I had a brilliant idea that I could embroidery my initials on some napkins. Wouldn't a monogram in the middle of that be beautiful? 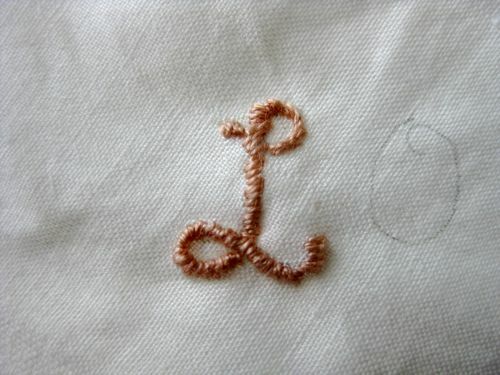 I should add in advance that I’m pretty average at embroidery, and have never done initials. Did that stop me at all? There are beginner, average, experienced, and expert sewers and embroiders, and then there are people like me, who’s skill level should be rated as ‘rash’. Of course I forged ahead. First, I drew my initials. Of course I practiced beforehand. My sketchpad looks like a silly highschool girls journal. Then I attempted a satin stitch. 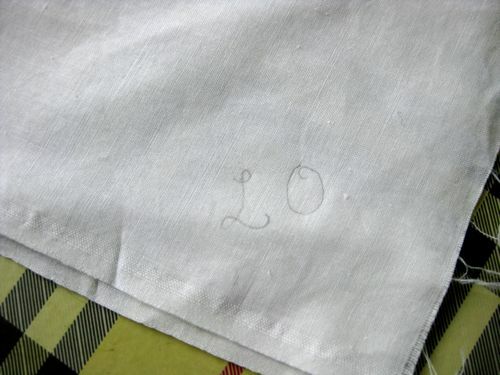 Despite my lack of experience, the L came out pretty well on my trial fabric. So, with half an accomplishment, I took time to admire what I had created, and to anticipate how fabulous it was going to look on my finished napkins. 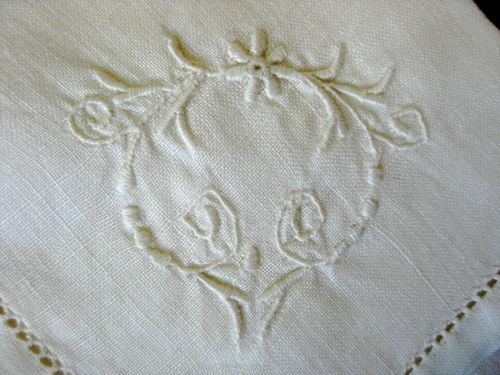 Then the actual napkin fabric was much looser in weave, so wouldn’t embroider nicely. 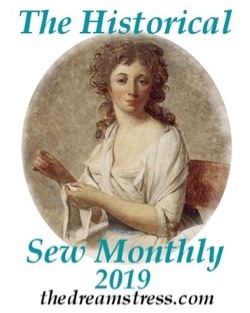 Oh well, I’m going to have to leave the embroidery to the experts, like Madame Ornata. I guess rash doesn’t always work as a skill level. Mais no, madamoiselle! You must practice, practice, practice! Your first attempts are beautiful even as they are! 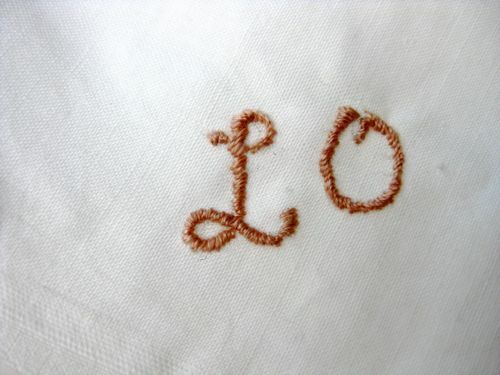 But if I may offer a small tip- use an air drying fabric pen to trace your letters from a font you’ve picked out from your computer and printed onto plain white paper. Place that under your fabric so that you will get the sweetly swelling swoops and swirls of your chosen image. And remember- a Lady never admits defeat! LOL – I thought a lady was supposed to know her own limitations! I was going to suggest the same! 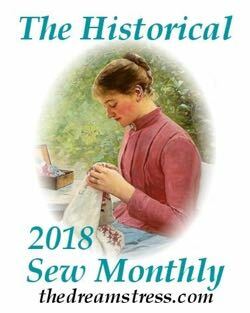 Try a chain stitch. Much easier and just as pretty! 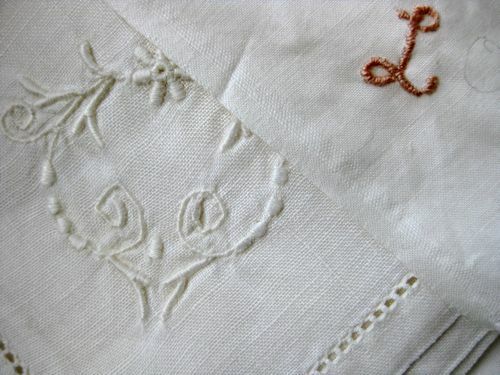 Maybe it’d be easier to embroider the vintage napkins if you interfaced the spot you want to embroider on? 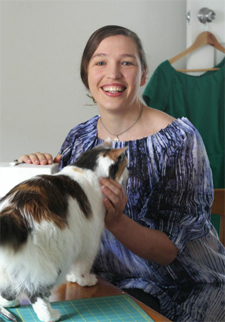 I hear there are products that are like fusible interfacing, but wash away (never worked with them myself, though). 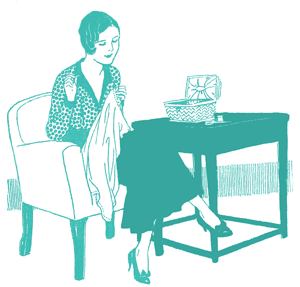 It MUST be possible to embroider the fabric – someone did before you! I think it looks fine. I’ve tried a bit of satin stitch but not tried initials before (that’s for a future project). You got the trickiest bit right – making the back look neat as the front- something I need to work on.